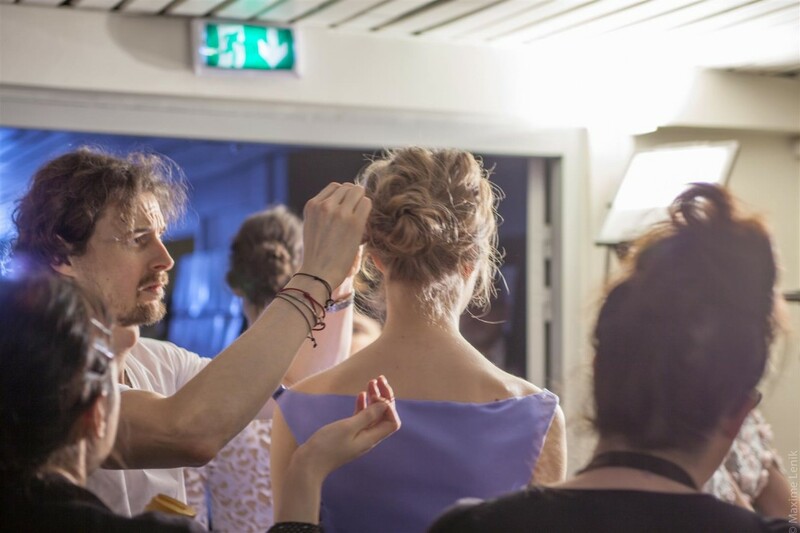 Neville Hair & Beauty’s backstage team, headed by stylist Stephen Low and managed by Elena Lavagni, have been busy working in Paris on three shows for top designers Julien Fournie, Ralph and Russo and Songzio. 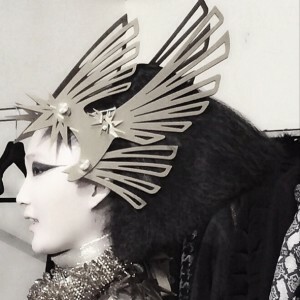 ‘The woman who dares to wear Julien Fournie’s Haute Couture is a world traveller who carries her past with her. As her life is full of drama her hair needs to be wild yet tamed’, said Elena Lavagni, whose Neville salon team under the creative direction of Stephen Low has sealed their long-term partnership with this Parisian designer. The Neville team spent time in the capital sourcing each of the hairpieces for the show for each of the 20+ models that were then fitted and styled just four hours before the start of the Haute Couture show. 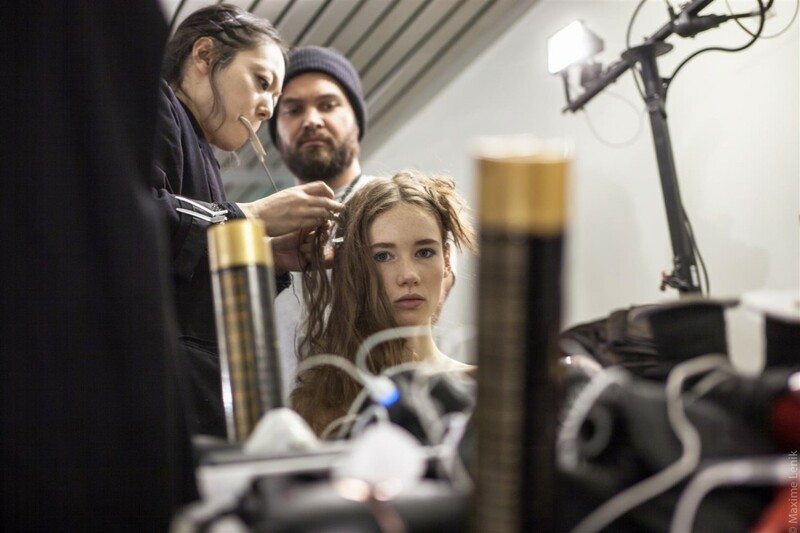 The brief for the show was an elaborate half polished/half wild look that needed to be carefully structured whilst the hair pieces were fitted, the team worked with the L’Oreal Professionnel Pli range and Infinium hairspray to create the catwalk look. 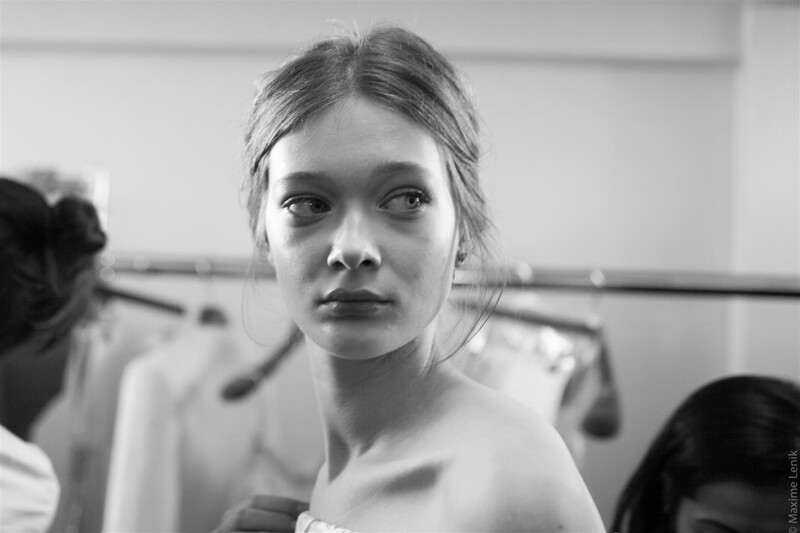 It’s been exactly a year since British brand Ralph and Russo presented their collection to the Chambre De Syndicale de la Haute Couture (the first British brand in 100 years to do so) and the Neville salon were again enlisted to provide the immaculate hair for the show. This year’s show was inspired by Boticelli’s Primavera and Poussin’s Realm of Flora work with a fairy tale style theme running through. 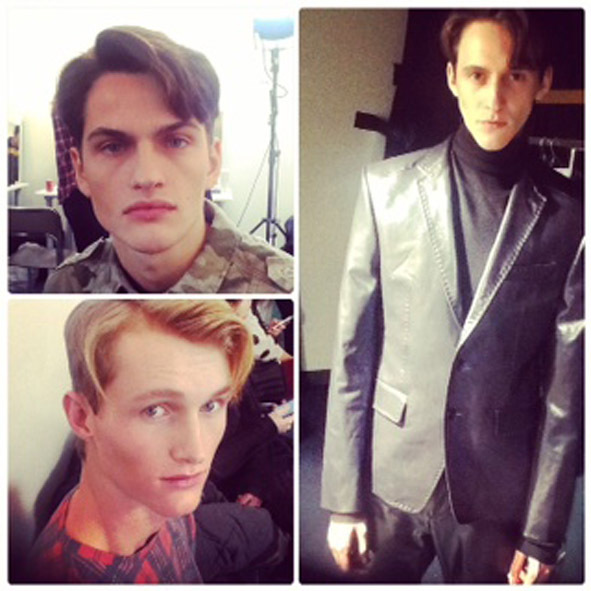 Stephen Low says of the hair for the show, “the hair look was decidedly youthful and light. It was a soft, textured plaited bun in a centre parting where the hair was pulled into a ponytail before being plaited and distressed”. Elena says, “it seems that nothing matched my gasp when I saw the models at Ralph and Russo’s SS15 Haute Couture catwalk at the Grand Palais, blossom on the catwalk. It was the perfect dream-like hair that involved hours of craft from my team and yet looked effortlessly bohemian – another couture-gem created by my team under Stephen’s vision”.